Psalms 106-109 remind me that God is telling a story through each of us every single day. It's a story that unfolds as we accept Jesus into our hearts and learn to rely on Him. Although it may not look and feel like we'd expect it to at times, as believers, we are all living out a beautiful love story of God's grace and redemption. God's story is full of blessings and has no ending, but even better, everlasting life with Him. The story God tells isn't just about the happy everlasting ending. 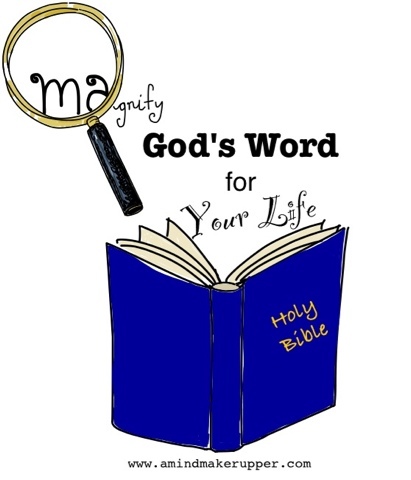 It's full of juicy, life-giving, inspiring details full of God's glory each step of the way. It's not a story God expects or wants us to write ourselves. Trust me. I've tried that. It does't work. Instead, our story with God is simply one God wants us to share with others. Thank You for Your love that saves me. Thank You for Your grace and the way You tell Your story of redemption through me. You are a wonderful redeemer. Forgive me for all the ways I fail to see and love others through the eyes and heart of Your grace. Empower me and use me, Lord, to tell Your story each day.